The New Year's is just around the corner, and we don't want to enter the new year with a stalker on our streets, right? The Torment of Whitewall is where you have to take the responsibility of freeing a town of fear and horror. And that is the duty of every hidden object puzzle adventure genre fan. The gameplay turned out very simple. Tehre's a great number of the hidden object levels. A strange stalker (shouldn't they all be strange?) is walking in the streets of the town of Whitewall attacking women. Every time they disappear except for one who was able to escape. But she does not want to talk to anyone about what had happened that night. This is the honorable mission you are sent to. 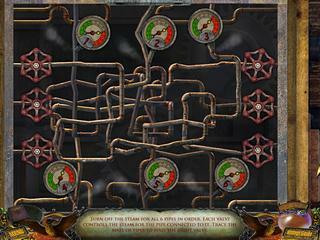 The game's story is told through some good graphics and music. This part of the game is not particularly great, but good enough. The gameplay turned out very simple. 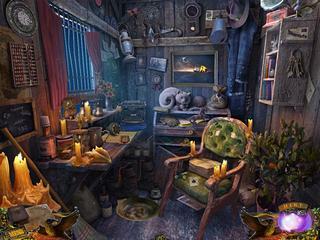 Tehre's a great number of the hidden object levels. They are all interactive and follow the same rules as always. There are also mini-games to play. They are very easy to solve. But if you do get stuck you can use a hint that work outside the hidden object levels too. There are no collectibles or achievements to fight for as you play. The game is a little bit of a let down, but I'm sure some might be quite pleased with it. As always, try the free version first if you think you are one of those. This is The Torment of Whitewall review. Download this game here.